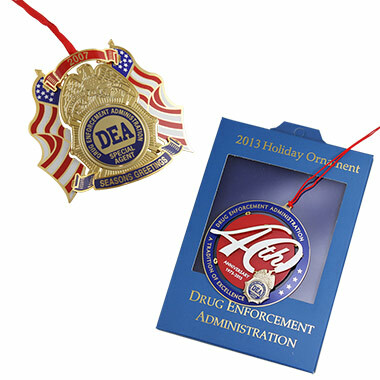 The annual brass ornament celebrates the 40th Anniversary of DEA with multilevels and striking detail. The storage box includes a brief history of DEA's first 40 years. With 2007 Holiday Ornament Free!